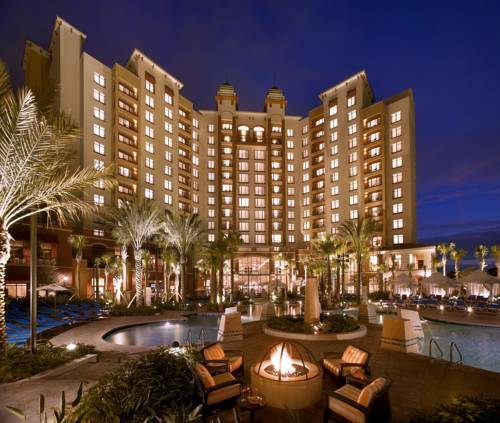 Experience unparalleled hospitality and sophisticated charm at this Wyndham Grand Orlando Resort Bonnet Creek, a Mediterranean-styled lakeside escape on 500 wooded acres that is just minutes from theme parks. The Orlando International Airport is also just minutes away. Indulge at this full-service resort with a visit to the Blue Harmony Spa, a dip in the lagoon-style pool, or a workout at the state-of-the-art fitness center. Complimentary wireless Internet is available, and a complimentary shuttle serves the Walt Disney World Resort. Over 25,000 square feet of exquisite meeting space is available for your special event, including private dining rooms, elegant ballrooms and outdoor patios. Onsite restaurants serve all meals and offer 24-hour room service. Spacious guest rooms feature 40-inch flat-screen TV and bathrobes. Select suites are available with separate living and dining areas, gourmet kitchen and stunning Disney park views. Open since 1962. Now has a zoo, a big gift shop, a citrus processing plant, a "dinosaur cave," a pirate gallery, a bizarre art gallery, 18 holes of indoor mini-golf -- this place has it all.